Being from the Midwest means a certain tone is woven into ones’ fabric. And every now and then, someone comes along who has the power to convey that feeling in their cadence alone. And so all hail Anna St Louis, who lets us into her world of heartache, wonder and a never-ending, never-beginning dance with time. Her album is for the mystics, reminding us that the world is full of magic at every turn, if only we let ourselves see it. Sometimes just by stating a simple observation, St. Louis lets us in on an infinite truth that perhaps we wouldn’t have seen otherwise. To step into the world of Anna St. Louis is to step into a world where the heart leads straight to the soul and where everything is cloaked in beautiful mystery. If Only There Was A River is a record of longing – of a soul reaching for more. It’s easy to see what Kevin Morby sees in her — If Only There Was A River is very good stuff. 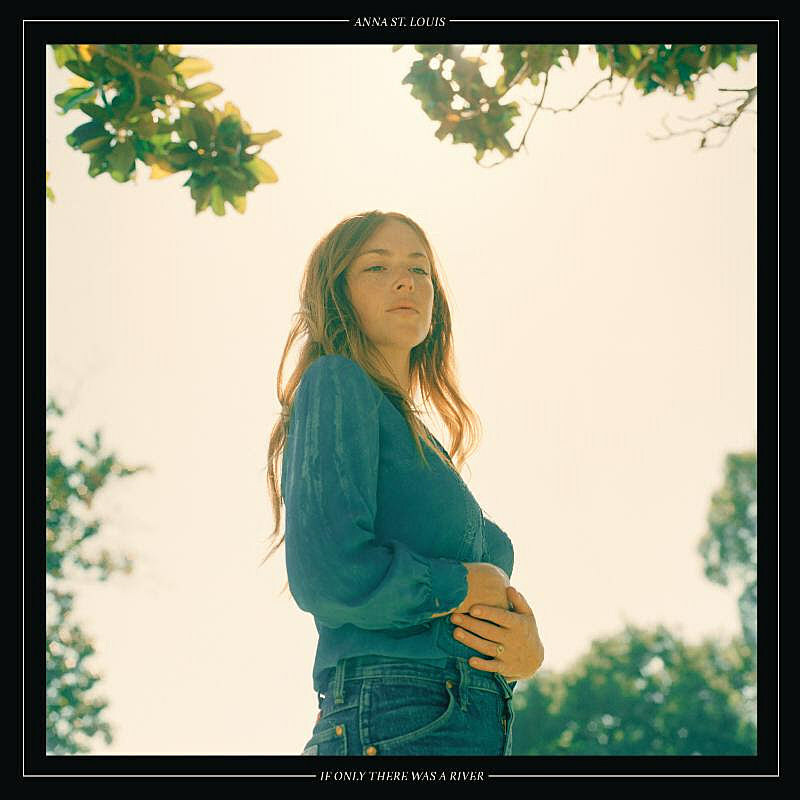 It hearkens back to ’70s Laurel Canyon folk and does a lot of justice to that era (for more recent comparisons: Angel Olsen and Jessica Pratt fans should take note). Anna has an old soul, and a wiser, more seasoned sounding voice than you’d expect from an artist as new to the game as her. Her music mainly falls under the folk umbrella, but there’s also hints of country twang, the weight of blues, and more modern, atmospheric layering. It’s gorgeous stuff, and you can now hear the entire thing a few days ahead of the official release. A stream of the album premieres below. No upcoming dates booked at the moment, but she just wrapped up a tour with Waxahatchee.